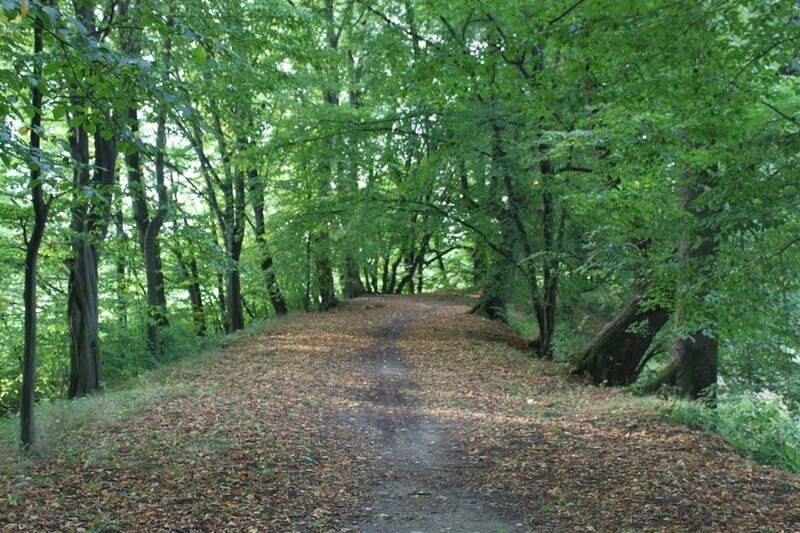 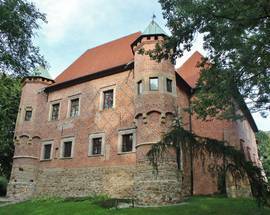 Walking path around D&#281;bno Castle. 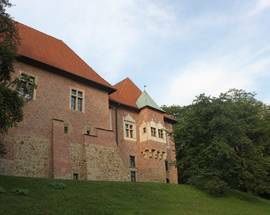 Located a mere 22km west of Tarnów, just off of 94 - the former main road from Kraków (63km away) to Tarnów, Dębno Castle is an easy and worthwhile detour for anyone travelling between Małopolska's main cities.This late-Gothic knight's residence was built between 1470 and 1480 by Jakub Dębiński, the Castellan of Kraków. 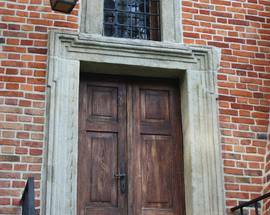 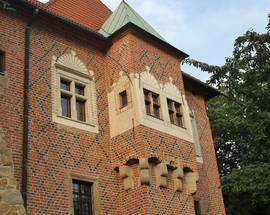 At that time, the emphasis was beginning to shift from protection to prestige, as indicated by the beautiful brick and stone exterior enhanced by towers with lovely bay window trusses and door and window frames embellished with organic, geometric and heraldic motifs. 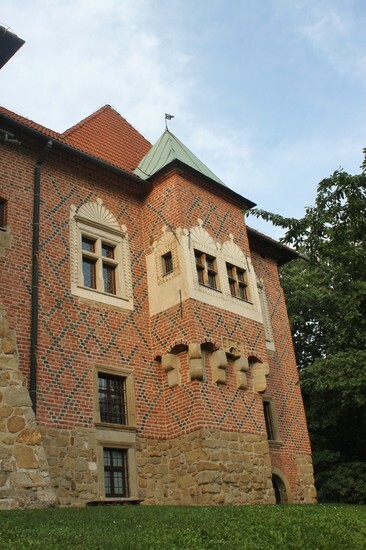 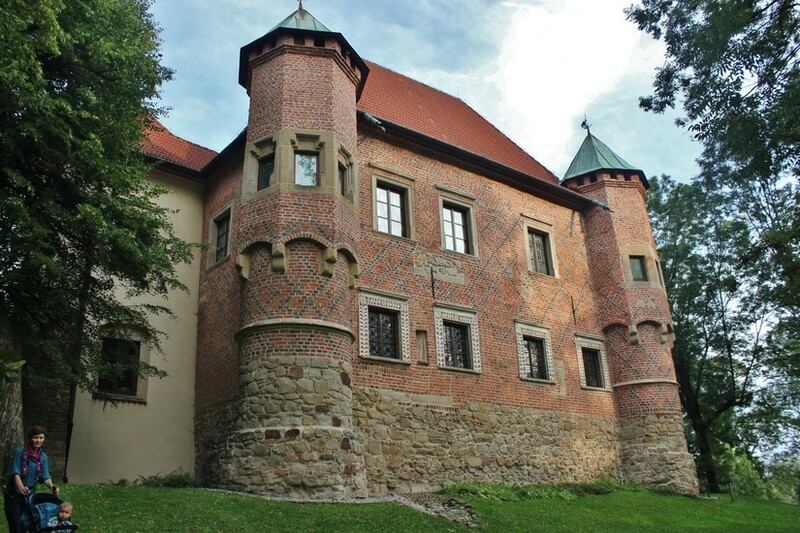 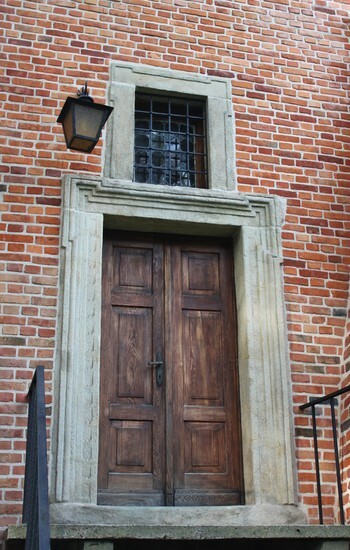 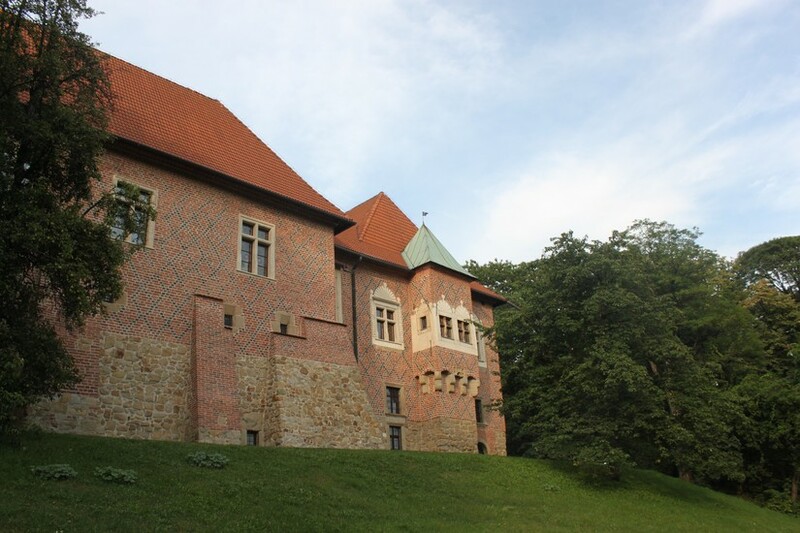 Though remodelled several times as it passed through the centuries and the hands of several Polish noble families, the castle at Dębno has maintained its original appearance of four two-storey wings connected by wooden interior arcades. 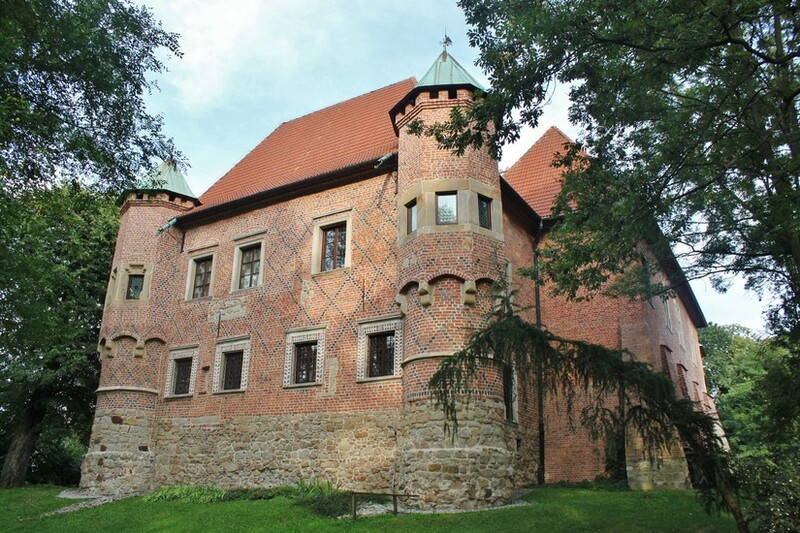 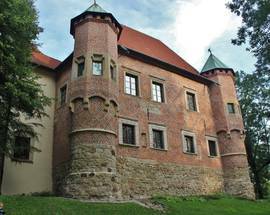 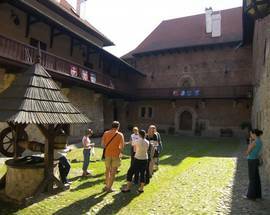 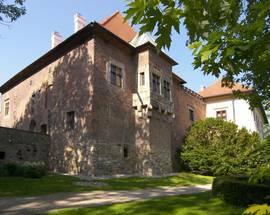 Since 1976 the castle has been home to a branch of the Tarnów Regional Museum - The Museum of Antique Interiors - and its sumptuous displays of historic period furniture and domestic items, paintings, weaponry and religious objects. 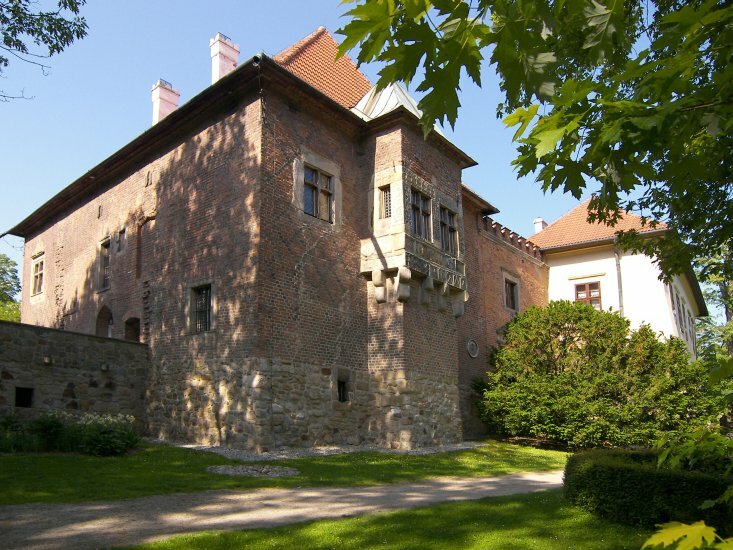 At one time surrounded by a moat, a wooden bridge still leads you onto the well-maintained grounds, which stand on a hill above the surrounding farmlands. 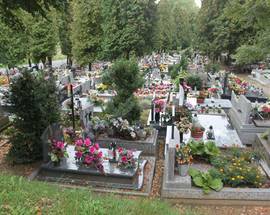 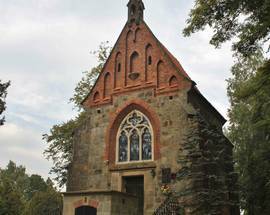 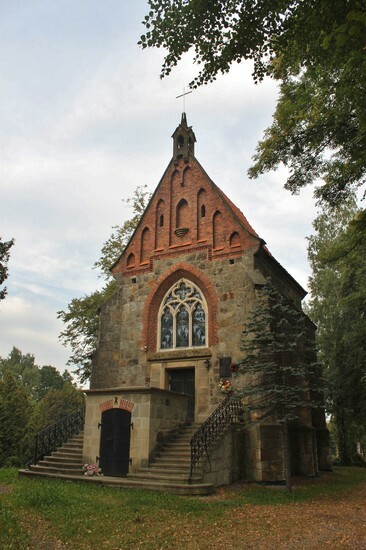 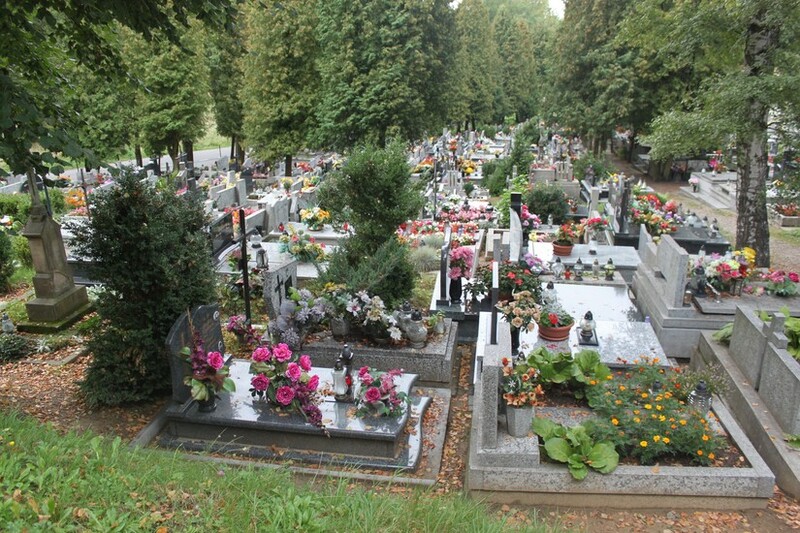 A short walk around the castle offers the chance to see a few monuments, the village church, and a picturesque graveyard. 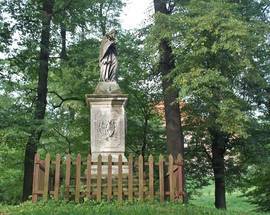 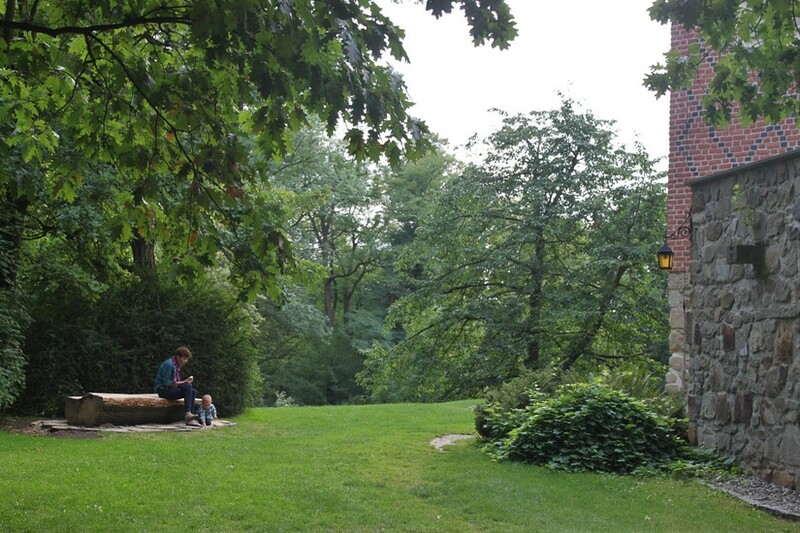 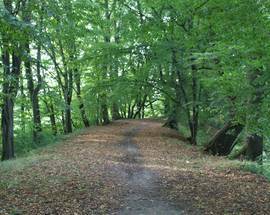 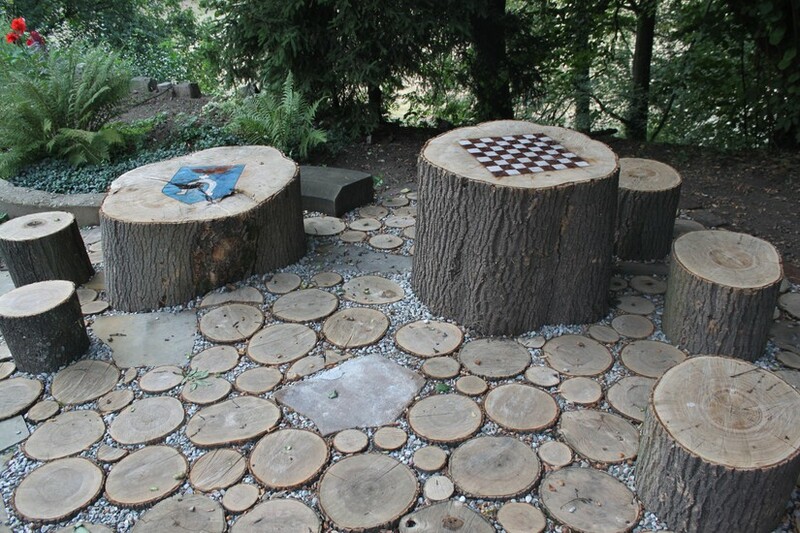 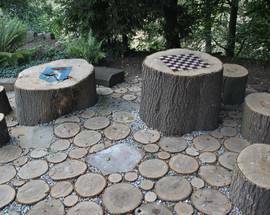 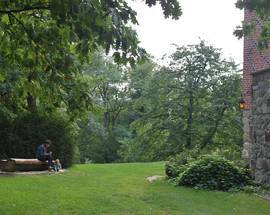 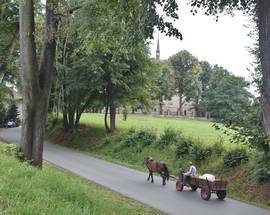 Overall, Dębno is the perfect 90-minute diversion, and ideal for stretching the legs or having a picnic. 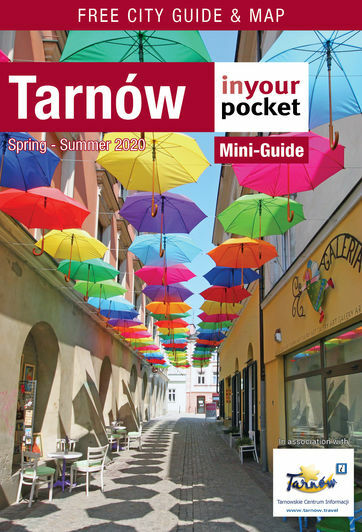 If you don't have a car, you can also get to Dębno by catching a bus, which run about twice an hour from the 'Tarnów ul. 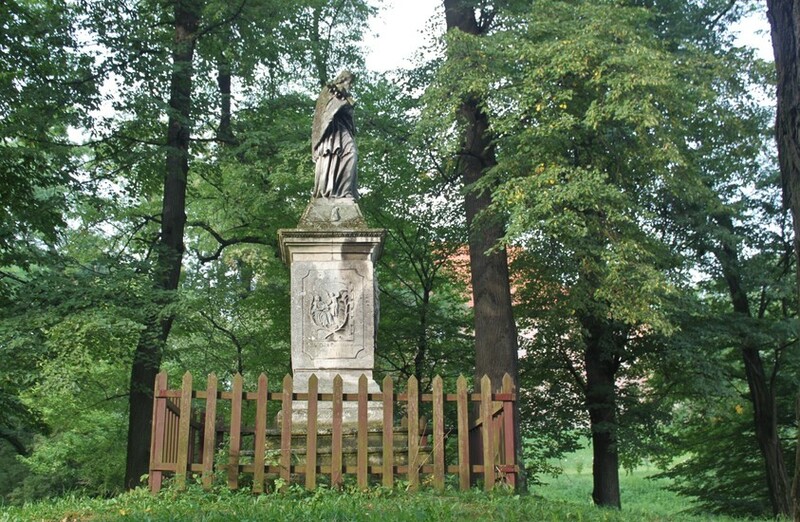 Sikorskiego - Huta' stop outside the Świt shopping centre. 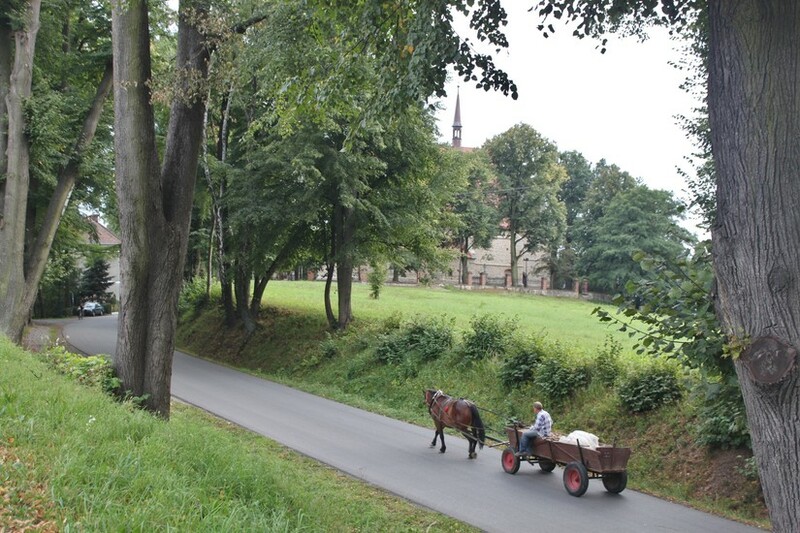 The journey costs 4.50zł, takes 30-35mins and drops you off within walking distance of the castle. Admission 12/8zł, weekends 15/10zł, family ticket 26zł.